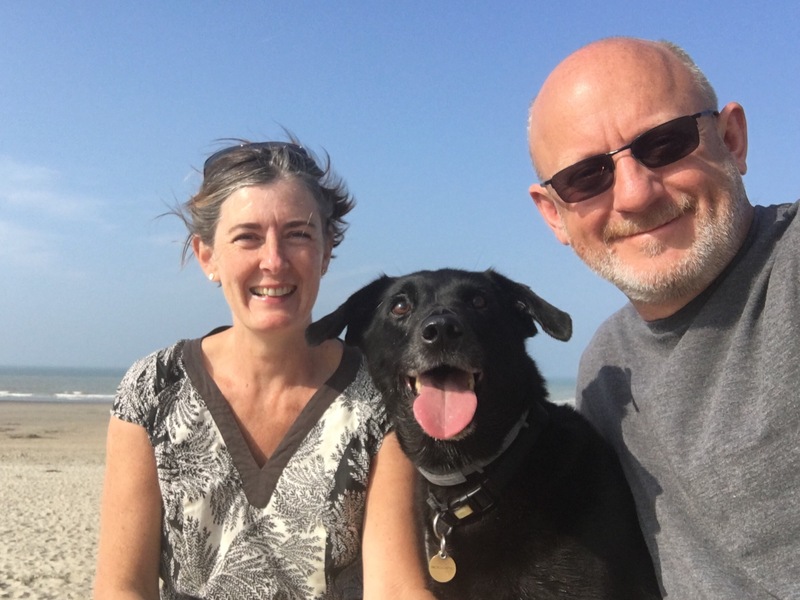 We checked the weather and it was staying sunny and warm and so we delayed heading South, deciding to keep to the coast of Northern Spain as we are just as excited to be on a beach as Chloe the Dog now. David as always found a great site, small but literally a stone’s throw from the beach and we went to bed each night listening to the waves. We thought we would stay one day but ended up staying 3 as the weather was so good and we just chilled out. We have seen afew beaches now but Playa de Loredo, close to Santander is up the top – might do our top 10 beaches when we finish this trip ! It stretches as far as the eye can see and it is another beach great for surfers. Now these surfers are fit, both men and woman and it did cross David and my mind very briefly that maybe we should have a go, but instead of going in the direction of the surfing school we headed for the beach bar !. I could have sat on this beach forever, just watching the waves rolling in, there is something memorising about being by the sea and we were so lucky with the weather, clear blue skies and sunshine. We walked along the beach to the little village as we needed afew groceries, now I thought the French had a long lunch break but they have nothing on the Spanish. Open at 11am, shut at 2pm open at 6pm and shut at 8pm. I think I might open a shop here ! Each evening we walked along the beach, took the ball and played with Chloe, David tried out the drone. Hoping for some footage sometime soon ! Chloe did lose her pink ball though – disaster. So, we are on a mission to find a new one. When we arrive somewhere, we never know what to expect but Playa de Loredo is a memory to treasure, top of the list so far….